Panama has exploded in recent years with the onset of gaming and sports betting. The Casinos in Panama are substantial in size and are capable of accommodating credit lines between $1000 - $10,000 without to many difficulties. The most popular casinos in Panama include Royal, Majestic, Veneto and Hilton. The newest of the bunch includes the Hilton Hotel set to open its doors in 2013, this Weill be the largest and tallest freestanding hotel in Panama. 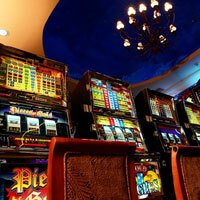 The most popular casino is by far the Veneto, which gains its popularity in other areas as well. The odds on its gaming tables are hit or miss. Ownership is smart enough to put shuffle masters at most of the general playing tables therefore putting the odds heavily in favor of the house. Casino Royal is one of the nicest and has the best sports book ‘Actions Sports Book’ where one can sit on plush leaver couches and enjoy betting the odds in person and eating great food provided by the Marriott Hotel kitchen. It admirable you show up early to the sports book as the plush leather couches fill up fast thereby leaving you sitting on a chair to enjoy your favorite sporting activity. We recommend playing at any of the Panama casinos mentioned above as they all provide professional services, poker tournaments, sports betting, VIP Gaming Areas, slot machines, Black/Jack & More. Monthly many of the casinos host Poker Tournaments and the buy-in is no more than $50 for few hours of fun and gambling amongst many of the locals who aren’t as proficient in the game.